An annual event designed to help newbie YA book bloggers network, learn the ropes from seasoned bloggers, and bust their newbie blues! This event is open to new and established bloggers. The linky lists are closed, but all posts are still open to comments. Click here to leave your feedback and suggestions! An event hosted by myself and Ruby from Ruby's Reads celebrating the historical fantasy genre. Includes author interviews, author guest posts, book reviews, cover reviews, book lists, discussions, and more! The giveaways are closed, but all posts are still open to comments. Books I Got: Posts about the books I received that week(s) to help put new books on our radars. Click here to read all of my Books I Got posts. Discussion Posts: I explore some book/reading-related topic and invite readers to share their thoughts. This feature usually occurs once a month. Click here to read all of my Discussion posts. If I Like This...: A randomly occurring feature where I highlight a book and ask for suggestions on similar books. Click here to read all of my If I Like This... posts. Cover Review Posts: I highlight a cover that I love or hate and talk about why. I also guess at what the book might be about based on the cover and compare my expectations to the reality of the book. Occasionally I will spotlight one of my favorite cover artists and show examples of their work. 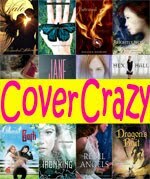 Click here to read all of my Cover review posts. 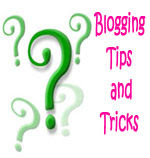 Tips & Tricks: I explain some aspect of blogging. Think of it as "Blogging 101" with explanations of HTML and tips to increase readership on your blog. These posts typically occur once a month. Click here to read all of my Tips & Tricks posts. Recap: I list links to what was posted each month and any questions or news I may have for followers. I also include a list of the books I read, what I am currently reading, and the books I DNF-ed. Click here to read all of my Recap posts. No More Waiting: I highlight books that have been recently released. I also highlight any book deals I've seen lately. This feature typically runs every fourth Wednesday. Click here to read all of my No More Waiting posts. 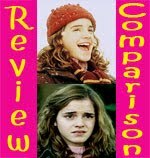 Review Comparison: I pick a book I have reviewed and then pull out the pros and cons of the book based on my review and reviews written by other bloggers. This feature usually occurs once a month. Click here to read all of my Review Comparison posts. Spotlight List: I pick a topic or theme and then highlight some books that fall into that theme. Spotlights are usually posted once a month. Click here to read all of my Spotlight List posts. Waiting on Wednesday: A weekly meme hosted by Jill at Breaking the Spine where upcoming books I'm eagerly anticipating are featured. I will partake in this meme about once a month and list a few books. Click here to read all of my Waiting on Wednesday posts.